To choose the top best DSP to use you should know what to consider. Demand Side Platform is a tool which you can use to buy traffic/run advertising for your business. 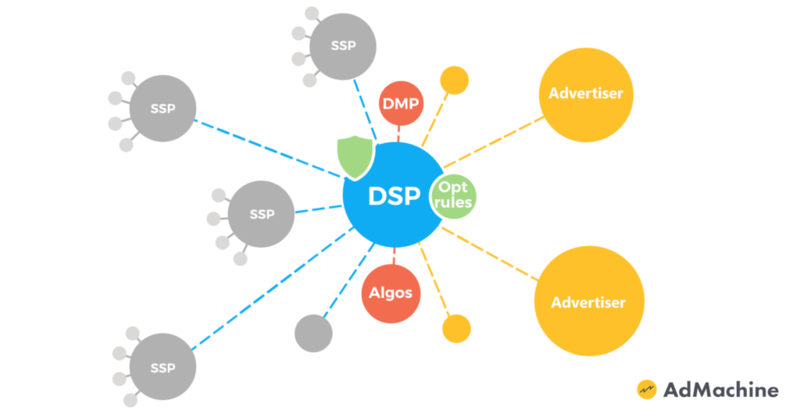 While Supply Side Platform is trying to collect different publishers and protect their interests, DSP does the same for advertisers. Generally speaking it’s an interface for you to run ads through different SSPs simultaneously. Traffic supply, which you can actually get. Those are connected publishers (websites and applications) and the SSPs for you to advertise your product. Inventory is one of the most important DSP parameters to look at. By checking what SSPs it has, you may really see if there are any premium-traffic websites or only some minor traffic sources of uncertain quality. The variety of sources is a good thing though. With decent targeting and fraud filters you can get well-performing traffic for a lower CPM. Here you can see what are the top best SSPs. There are a bunch of different ad formats, but only a few are the most popular. Display – quite an old format, which you often see and use. Those are just images, banners of different proportions and content. Native – relatively new invention. It has no specific look, it adapts to look like regular website content. That mimicking is believed to generate lower CPC and higher trust. Video – short promo-videos, pre-rolls and all that kind of staff, which you’ve also seen a lot. Pop (Onclick) – cheap digital ad format. Usually those are pages and banners, that appear when user clicks a link or a button. Pop-ads is all about cheap traffic, display and native usually go for performance and video can be both performance or brand aware. So your personal best DSP depends on what kind of KPIs you have. Best DSPs purpose is to simplify a bunch of SSPs management and this is the key. Each SSP has it’s own targeting options and features, but you don’t want to manage each of those manually, do you? One good Demand Side Platform will provide you abilities to target by: browsers, OS, devices, countries/regions/cities, carriers, publishers/sites/apps/placements, IP ranges, useragents, dayparts and maybe some audience segments. Having a retargeting ability and tracking pixels is also a good thing. Having in mind that best DSP is a best aggregator, that ought to save your time and efforts, we come to UI. Because it’s the intuitive UI, which saves your onboarding and campaign management time. But it’s rather difficult to know if a Demand Side Platform has good interface or not without using it. Well, you may check reviews and see if there are a lot of users complaining about bad usability or something of the kind. Also you should keep in mind that major DSPs are not very flexible and responsive to advertisers requests. All improvements take a lot of time and sometimes they even make things worse. So maybe it’s better to check some of the middle-sized DSPs, that are still trying to impress their customers. To increase conversions and lower ad costs, DSPs try to somehow improve targeting. One way is to add custom algorithms, that will analyze the campaigns. The thing is, those are usually third-party and they need some extra-payments. And you actually have no idea how they work. Optimization rules are the rules you set by yourself, based on your personal experience. They are free to use, but you have to put some work into setting them up. Pouring in some DMP data get you a better targeting, knowing more about the audience, but also costs extra. 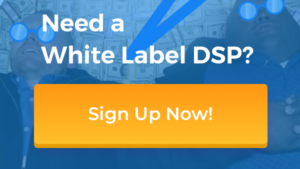 Best DSP must have the best price, doesn’t it? Well you can barely say there even exists such a thing. DSPs may have a setup fee, spend margin, spend commitment, monthly fee, additional functions payments, all kind of staff. The thing is, you may even not know about that payments and commissions. Setup fee means that you have to pay fixed price first to get the things going. By spend margin DSP usually takes from 15% to even 80% of the money you’ve spend. Spend commitment is a certain amount, for example $5000 that you promise to spend each month. You may have to pay a fine if you fail to do that. Monthly fee is a fixed payment that you have to pay each month to work with the platform. 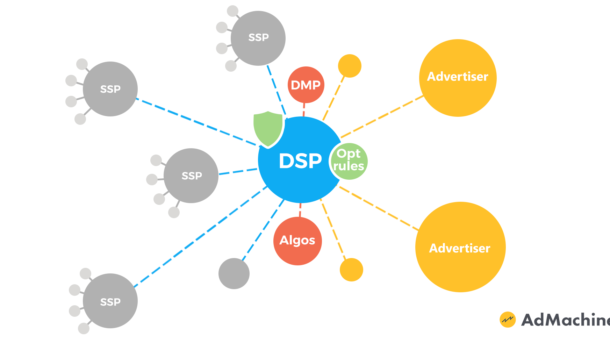 Some DSPs, for example AdMachine, has only a minimum top up and an optimized commission. An amount of money you need to add to your account to activate it. 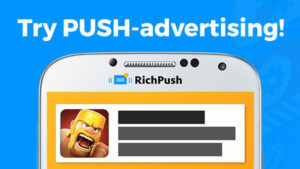 It is not a fee, you will spend it on your ads. Optimized commission is not a fixed margin, but a tiny bit of your spend which is tuned not to influence your ad showing up.